Is there an age requirement to join? Do I have to work in the health care field to join the Sisters of Bon Secours? What does a day in the life of a sister look like? What is your relationship with your family once you enter religious life? 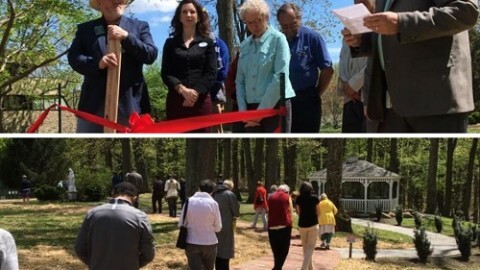 What makes the Sisters of Bon Secours unique from other communities? What should I do if I am interested in becoming a Sister of Bon Secours? We all have a vocation, a calling in life. Our first vocation is the call to love – to love God and serve others. As we grow in faith, we come to understand our unique call in life. Our vocation is our way of giving glory to God by sharing our gifts and becoming the person God intends us to be. A vocation is also a specific call to live as a married person, remain single, or become a priest or vowed religious. No one vocation is better than another. The most important thing is to listen and respond to the ways God is inviting us, loving us, and using our lives to love others. Discernment is a spiritual process in which we listen and respond to God’s call in our life. God wants us to be genuinely happy! We are free to choose how we will live out our vocation. We might consider questions like: How can I best use my gifts? What are the things that bring me joy? Who are the people I feel drawn to live and work with? What are the ways I encounter God is my daily life? Discernment invites us to recognize and freely respond to the ways in which God is already at work in our lives. It is about becoming “more” of who we already are. Is There an Age Requirement to Join your community? Generally speaking, there is not an age requirement. However, we find that most candidates are typically between the ages of 18-35. More importantly, in order to fully enter into a life of ministry and community, you must be in good physical and emotional health. Also, you must be free from any marriage bonds. Who Can Become a Sister of Bon Secours? While many people associate us with the Bon Secours Health Care System, our sisters serve in a variety of capacities including health care, human services, social justice, education, and spirituality. The name Bon Secours mean “good help” which includes caring for the whole person – body, mind, and spirit. Our ministries are a reflection of our mission to bring healing, liberation and compassion to all people, especially the poor and suffering, and to share the Gospel message of hope and salvation. Life as a sister varies with each person, and also depends on the community with whom she lives. There is time set aside each day for personal prayer, as well as daily Mass and prayer together in community. A significant portion of the day is spent in one’s designated ministry – serving the needs of others. The rest of the day may include mealtime together with other sisters, meetings or social gatherings, and chores within the community. We also enjoy some free time and doing other things we enjoy. Once a woman enters a religious community, her sisters become her family. In community, we love and care for one another just as family members do. We also recognize the importance of our first family relationships, and maintain regular contact with our family of origin through phone calls, email, letters, and visits. God calls every community of consecrated religious sisters into existence by giving a “gift” to its founders for a unique purpose in this world. This gift – a charism – evolves with the changing needs ever present in the world. The Holy Spirit gave the original gift of Bon Secours [French for Good Help] to 12 young women after the French Revolution who were moved by events and situations of their time. Its understanding and the practical means for living it out has evolved over time because of the world’s needs in each generation. 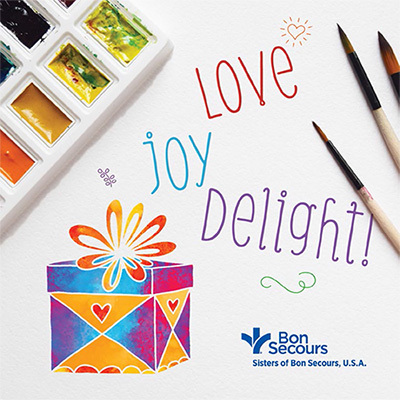 Today, we Sisters of Bon Secours bring compassion, healing in its broadest sense, and liberation to people throughout the world and all of creation. Healing the physical, spiritual , psychological, emotional, social and environmental needs of people , neighborhoods, whole communities and creation is a response to God’s call to embody Jesus the compassionate healer. Liberation, unique to Bon Secours, is to embody Jesus the liberator who came to set people and the world free from all that binds us from growing into the individual that God created us to be; to liberate all from injustice and oppression on various levels; to address situations and systems that prevents the world from flourishing so that all might enjoy the resources of our earth. This Good News we proclaim is not ours. The message of Christ is the Christ himself. We can communicate the Good news only by living it to such an extent that we become the message. We are called to not only bring a message but to be a message of hope to all, to bring a message of God’s love to every person and creature on earth. We find God in every human situation and in all of creation. It is God whom we serve. Try our new APP today! Our 2018 Prayer Book is now available to download. Check out our site today!